Since the weekend is nearly here, it’s time to round up photos from this week’s #PhotoaDay project. This week’s collage also features photos from Abukar Abdirahim (top left) and Lucy Gonzalez (top right). 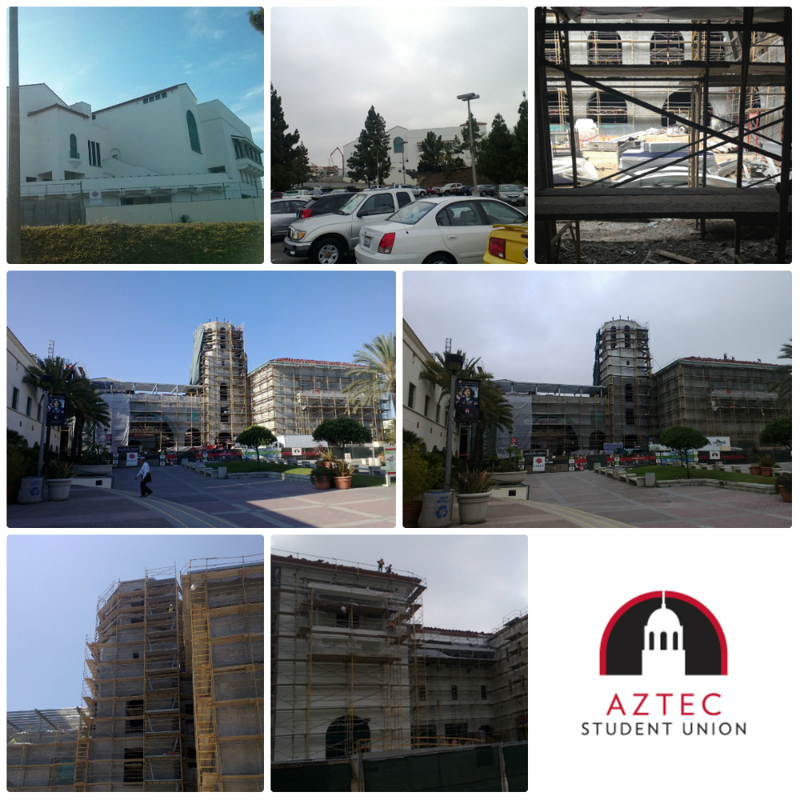 Want to check out new views of Aztec Student Union each day? Be sure to “like” the project on Facebook, follow it on Twitter, or visit the website and its live construction camera. This entry was posted in Construction and tagged photofriday. Bookmark the permalink.